In America there is one divorce approximately every 36 seconds. 41% of all first marriages end in divorce, that number rises to 60% of second marriages, and 73% of third marriages. People who wait to get married until they are 25 are 24% less likely to get divorced. Now these stats are hard to decipher and we don’t know how accurate they really are, but it seems that even within the church the divorce statistics are similar to what they are like outside the church. Today we are going to talk about divorce, but we are going to dig a little deeper. Please turn with me in your Bibles to the Gospel of Matthew, chapter 5. Today we continue on in our sermon series on the Sermon on the Mount. Last week we looked at a particularly hot topic, lust, today we move on to another somewhat difficult topic, divorce, but we are going to move beyond divorce to an underlying problem with divorce and in general with us. But let’s begin with what Jesus has to say about divorce. Take a look at Matthew 5, verses 31-32, “31 “It was also said, ‘Whoever divorces his wife, let him give her a certificate of divorce.’ 32 But I say to you that everyone who divorces his wife, except on the ground of sexual immorality, makes her commit adultery, and whoever marries a divorced woman commits adultery.” Notice that this passage begins with Jesus saying, “It is also said,” in the Greek the word “and” is used, so this statement is tied to the preceding passage. Now remember, this passage comes right on the heels of the passage on lust, where Jesus talked about the command to not commit adultery and then raised the bar to not looking at someone lustfully. And we talked about how Jesus was moving beyond the act of the adultery and dealing with our hearts. Here he takes on adultery from another perspective and that is in relation to marriage. Remember, he is raising the bar, like he did in earlier passages. Let’s first consider where the bar was. Jesus says, it was said that whoever divorces his wife, let him give her a certificate of divorce. This comes from Deuteronomy 24:1-4 and speaks specifically of a man divorcing his wife. The law allowed for a man to divorce his wife, but not for a wife to divorce her husband. And the grounds for divorce were if he found something indecent about her, which could be open to interpretation. And people did interpret it differently. Some thought that it referred specifically to sexual immorality, others thought that it referred to basically anything the man found displeasing about his wife. So if we use that loose interpretation, then it would not take much to come up with a reason for divorce. And to obtain the divorce the man would write a certificate of divorce for his wife and have some witnesses sign it and then it was legal and he would give her the certificate and she could go on her way and could be remarried. Apparently it sounds like it had become a pretty simple process depending upon the Rabbi you chose to follow and his interpretation of indecent. Now, like we have talked about the past couple of weeks, in this Sermon on the Mount, Jesus is raising the bar. He is taking us past legalistically following rules, and getting to our hearts. He is showing us what the kingdom of God is supposed to look like and calling us to live like that, which is something that he can accomplish in our lives. So here he is taking us past the issue of divorce to the importance of how we view marriage. He is saying here, that in the kingdom of God, divorce is not supposed to be some easy option. It is meant to be an extreme measure or a last resort. Ultimately I think this is less about divorce than it is about how we view marriage. Marriage is meant to be for a lifetime. When two people become one they make a covenant with each other in the sight of God that is meant to be for life. It is till death do us part. The problem is that somewhere along the way, we made divorce easy. We made it so that it is simple to get a divorce. Jesus is calling us to more. He mentions sexual immorality as legitimate grounds for divorce, but I don’t think he is even saying that if there is sexual immorality that we should get a divorce, he is just allowing for that. You know, I have had people come to me to talk about divorce and I could tell that they are using this reason of sexual immorality, as a loophole, because they want to get out of their marriage. And it may be true that they have a case for marital unfaithfulness, but I don’t think that is Jesus’ focus here. I think he is saying that we ought to be doing everything we can to make marriage work to the point where divorce is not an option except for extreme circumstances and when all options have been exhausted as a last resort. 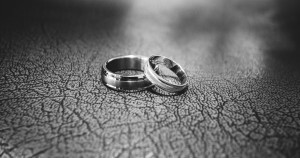 He is not condemning those who have gotten divorced, but calling us to stronger marriages. I think ultimately this is not so much about divorce, but about marriage, and I think the reason why divorce has become so easy is because we have devalued our marriage vow. So verse 33 begins with the word again, which ties it in with the previous passage. Which I think is so cool. I think this passage fits well with what Jesus has just been talking about. That it is part of the same theme. He is talking about us being covenant keepers. He is saying that in His kingdom we are to be people of Truth and faithfulness who keep their word. Back in Jesus’ time vows or oaths were probably a bit more common than they are today. There are not a whole lot of oaths that we take anymore. But one oath that we do take is marriage. Our marriage vows are oaths. We promise to love honor, and cherish our spouse, in good and bad times, till death do us part. Now let me give us a little background on these verses before we get back to this point. At different spots in the Mosaic law we find regulations against swearing falsely in God’s name, against breaking your word or swearing an oath and not keeping it. It was expected that if they made an oath or swore in God’s name that they would keep that pledge. I think some people in Jesus’ time were trying to use loopholes, like they swore, but not on Jesus’ Name and stuff like that. But Jesus is saying that it doesn’t really matter if we swear on his name or anything else, no matter what we swear on, Heaven, earth, Jerusalem, our own head, or whatever, we don’t have any power. Only God does. So all of it would be like swearing on His name anyway. But Jesus is raising the bar when he says that we are simply to let our yes mean yes and our no mean no. In the kingdom of God there is no swearing on things, there is no need for vows, no oaths, not even promises. If we say yes, then we mean yes and if we say no we mean no and you ought to be able to take that to the bank, because we are going to stand by our word. Once again He is cutting to our heart, not just what we say or some legally binding oath or some potential loophole, but actually getting to our heart. Are we men and women of truth and honesty and a willingness to mean what we say and follow through?But in our society today, most people’s word means little to nothing. We have dropped that idea of standing by your word. We break promises all the time and it doesn’t seem to matter. And divorce is one of the biggest culprits. Everyday, people all across the country are promising to love, honor and cherish one another till death do us part, and yet more than half of all marriages end in divorce. Maybe our marriage vows should be more along the lines of, “do you take this woman to be your lawfully wedded wife, to love, honor and cherish her at least when times are good and as long as you feel like it, and still have that same emotional investment as you have today? Yeah, I guess so? Marriage vows have become a joke, because we have become a society that doesn’t care about keeping our word anymore. And Jesus is saying, no matter what the world says, that is not the way things are supposed to be in the kingdom of God. I love this point. And I think it fits so well with what Jesus was saying about marriage. It is not really about divorce. It is about being men and women of truth and faithfulness and being covenant keepers. Remember, we are supposed to becoming more and more like Christ. And one thing we know about him is that He keeps his covenants. That should be true of us as we live in His kingdom. That means when we say yes, or I do, we mean it. And it means that when times get hard and we don’t feel like keeping our covenant we fight for it and don’t give up. Part of that means trusting in God to be able to do miraculous things in the midst of circumstances that seem hopeless. It means trusting that God has a plan for us and believing that he can bring beautiful things out of the ashes of our lives. God can do amazing things when we submit to doing things his way and not taking the way out that the world so easily offers. When we choose to let our word and our vows mean something. When we are willing to fight for them and stay faithful, and submit to God, he can take even terrible circumstances and horrible mistakes and do beautiful things. And it begins with a decision that our yes is going to mean yes and our no is going to mean no. Whether it is a covenant like marriage, or even a choice to volunteer for something that later on we wish we didn’t commit to. Let’s be men and women of truth and honesty and faithfulness. 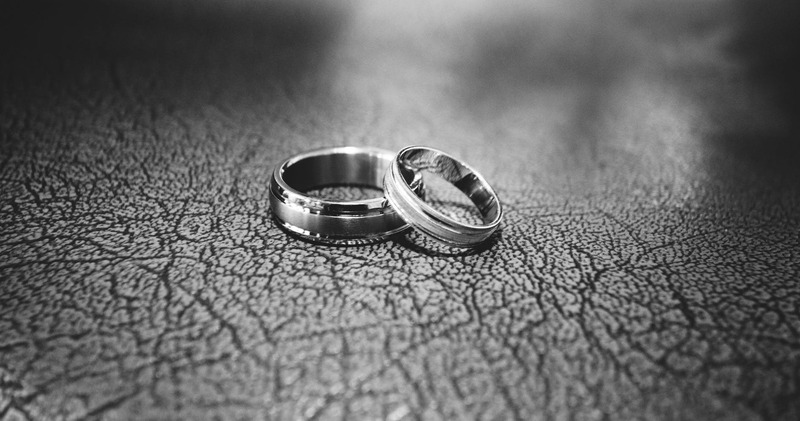 Let’s be covenant keepers recognizing that in God’s kingdom, our yes should mean yes and our no should mean no, and that marriage is meant to be for a lifetime. And that the covenants we make are meant to be kept and are worth fighting for.